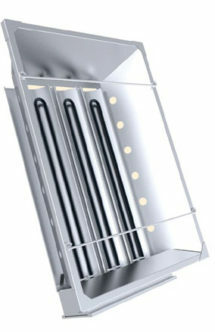 Comfort Heaters – Spectrum, Inc.
Heat one person or an entire building. This heater is designed for industrial applications requiring construction that will withstand abuse. An overall height of 5-1/2″ provides a low silhouette. All parts are replaceable due to weld-free construction and the extruded reflector is polished and anodized for longer life. Commonly used as a comfort heater. 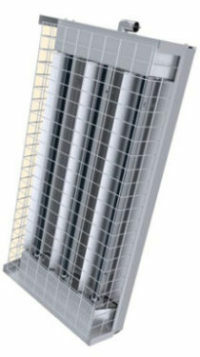 These attractive heaters are ideal for use in business, commercial and industrial applications. Quartz heating elements provide illumination in addition to heat. Choose reflector pattern to cover a specific area with heat. Commonly used as a comfort heater. 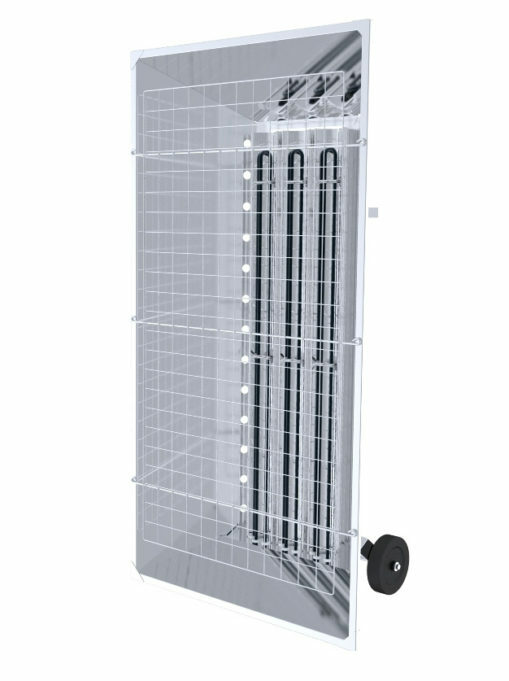 These tough, durable, weatherproof heaters are designed for inside and outside operation and range from moderate heat output to a heat source with major impact. Great for unheated buildings, thawing equipment and personnel comfort—inside or out. 1.7kW, 2W, 4.5kW, 6KW or 13.5kW. Polished and anodized extruded aluminum reflector. Heavy duty metal sheathed elements. Safety screen and/or safety bars. Exclusive clam shell connection box with open access for cable connection. Comes equipped with bolt-on dolly, welded wheel frame, or gripped handle. Commonly used as a comfort heater.